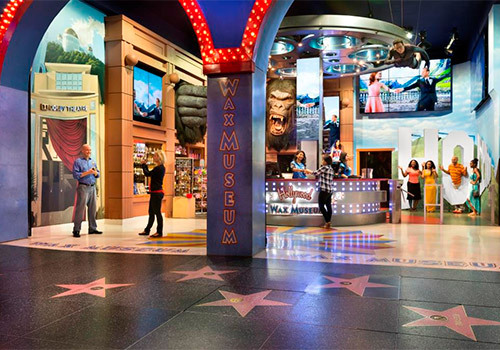 Situated on Hollywood Boulevard along the Hollywood Walk of Fame, Hollywood Wax Museum is the longest-running wax museum in the U.S., as well as the only one dedicated entirely to celebrities from the silver screen. Guests can enjoy being face to face with icon replicas of today’s most popular actors and actresses, favorite stars from the golden age of Hollywood and even the most feared monsters and villains in the museum’s horror chamber. Located along the Hollywood Walk of Fame. 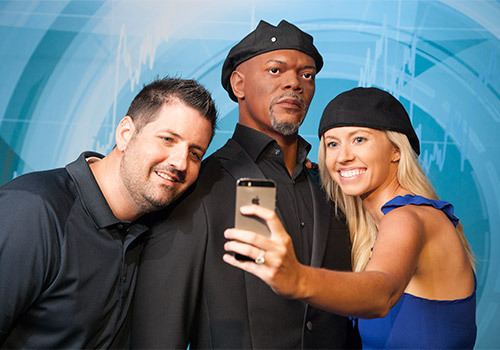 Pose with your favorite wax figures for memorable photos. Open 365 day a year. Grab your camera and join your favorite stars for pictures that will make the best Hollywood vacation postcards! You'll find a mix of current celebrities, Academy Award winners, classic entertainers, and music superstars to delight every member of your family or group. And the Horror Chamber is a must for fans who want a scare. This area contains sets devoted to the scariest and most memorable horror movie villains, plus a few surprises. The Hollywood Wax Museum, located along the Hollywood Walk of Fame, is the longest-running wax museum in the United States, and the most visited indoor attraction in Hollywood since 1965. 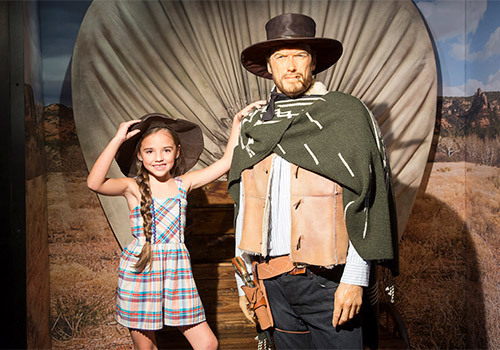 We invite you to visit Hollywood Wax Museum and see for yourself why 50 years of Hollywood fans have left feeling star struck! Combo Hollywood Wax and Guinness World Records Museum! Visit Guinness World Records Museum where you'll discover the Largest Work of Art to the Lowest Limbo… Record-breaking facts and feats documented by the best-selling copyrighted book in the world come to life right here! 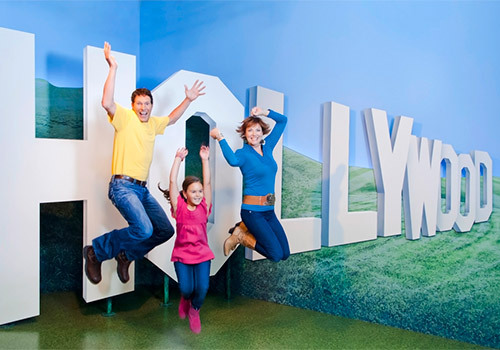 At this family attraction on the Hollywood Walk of Fame, you’ll have the chance to check your whole party’s weight against the world’s heaviest person, see how far your skin will stretch, compare your height with the world’s tallest man, observe some amazing food feats, and learn about the most tattooed person, smallest dog, most popular video game & more.